Hello again! Here is this week’s production. On January 13, I switched from taking photos on the easel, to taking photos in the bathroom. So, the lighting is slightly better. Plus I am able to make some adjustments in Adobe Elements. But, many apologies for the subpar photos! 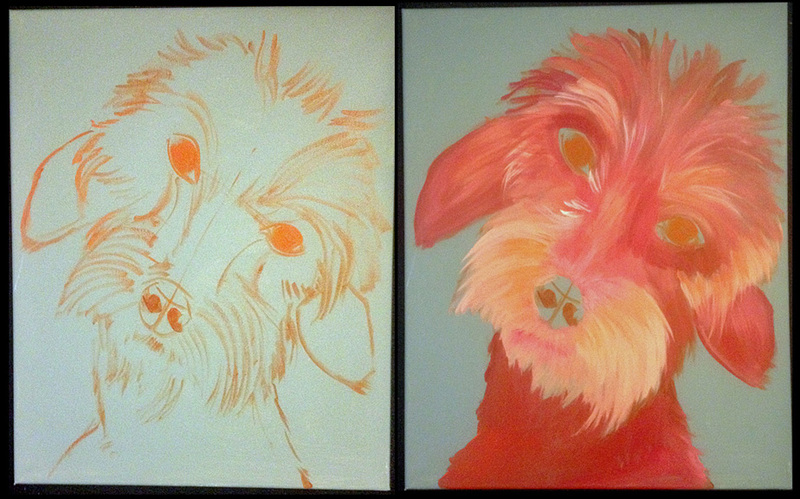 Also yes, I need to do something about the terrible lighting at my easel! Dangit. Also! I have started an Acrylics page so I can list all the articles and videos that have helped me the most. I will try to remember to put a link in my acrylic painting posts. Fancy Goldfish are Fancy. Also, Sheep. 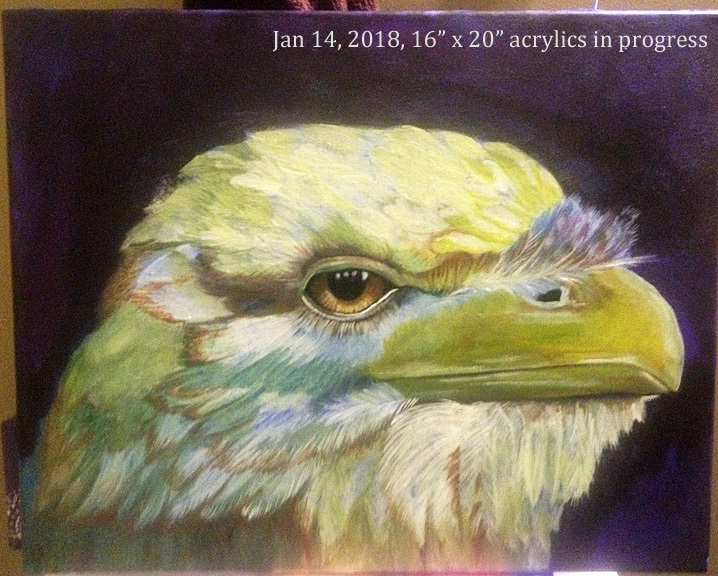 This entry was posted in Acrylics, Progression Photos on January 18, 2018 by The Beast Tender. Those are particularly good paintings. I really like the colors of the eagle and purplish pink bat. Your animals are amazing ! I am in love with that bat! Amazing painting. 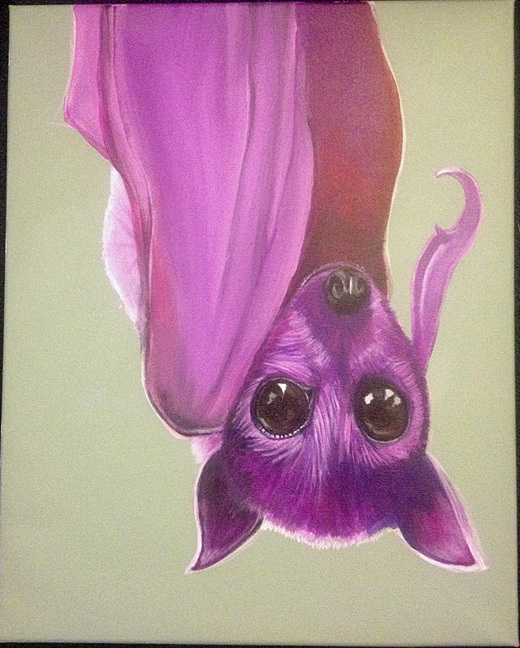 Adore the bat but the dog won my heart! Lovely works! Lighting for photography is always my problem too! 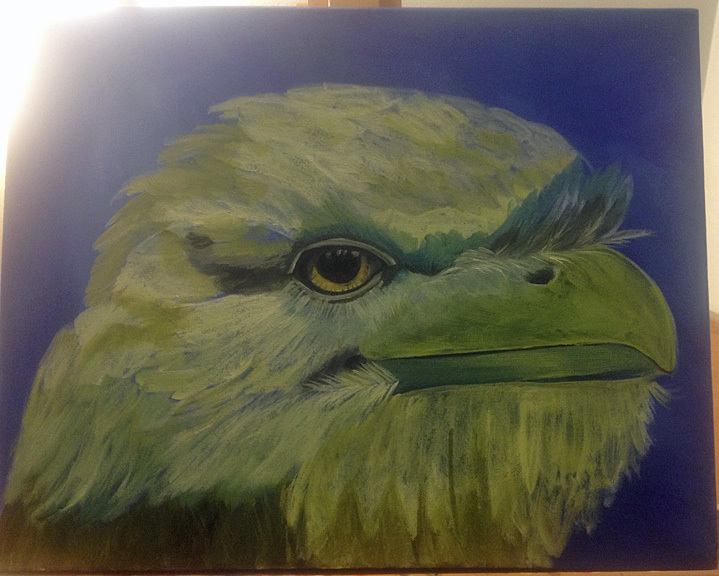 Love your animal portraits-their eyes are so captivating! Happy PPF! I love your whimsical delightful paintings!! Absolutely wonderful! Love that attitude of the raptor! The bat is amazing too! Really great work! Wow I love this bird but the bat is my fave. 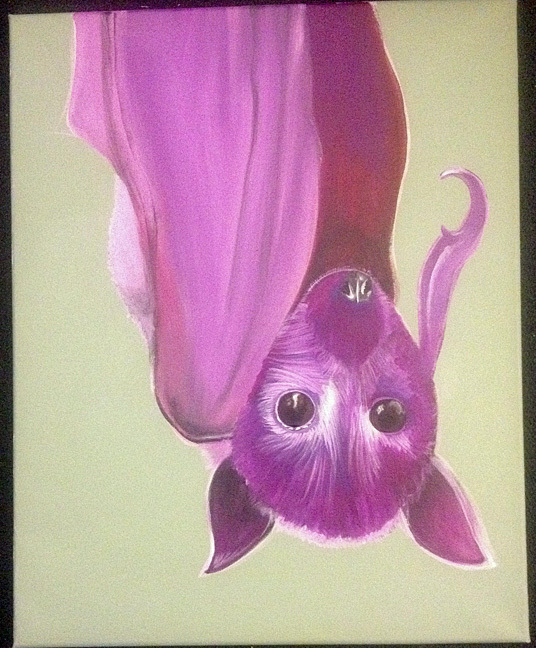 I love bats. Wonderful!!! I really love the eyes on the eagle! 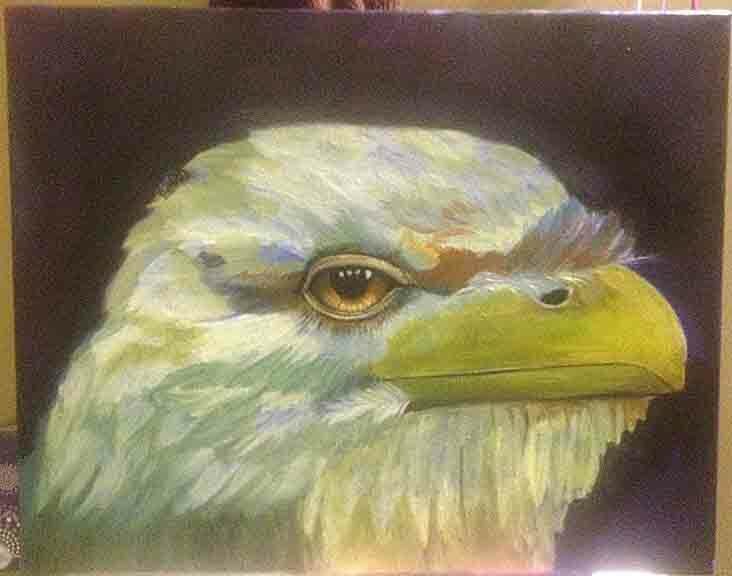 Oh wow that eagle..the eyes ! You can almost see him thinking! You are so talented! The dog has my heart and the wombat colour is amazing! Just WoW!! I have to agree with Nicole..love the bat!! Photography can be so frustrating! 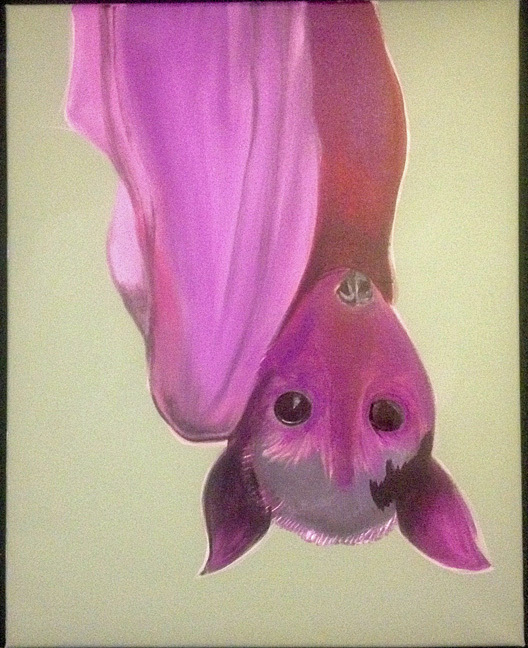 I love your animals – especially the pink bat! it is so interesting to see the progress shots. These paintings are wonderful! Breathtaking! you’ve done great painting the animals … wonderful all two!